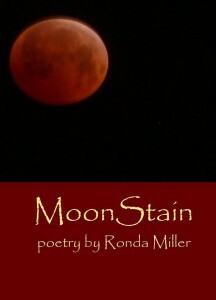 Ronda’s poems appear in numerous journals and anthologies, and have appeared in the archives of The Smithsonian Art Institute. Her work has been transformed into visual art and museum pieces. She authored a documentary The 150th Re-Ride of The Pony Express in 2010 and has created two poetic forms: Loku and Ukol. Her books of poetry include Going Home: Poems from My Life and Moon Stain, the latter published by Meadowlark Books in May of 2015. Denise Low said, “The book opens with a ‘Blood Moon’ sequence. Use of the blood moon image, the full orange moon at full lunar eclipse, shows the stain on Miller’s childhood due to the loss of her mother by suicide at age three. 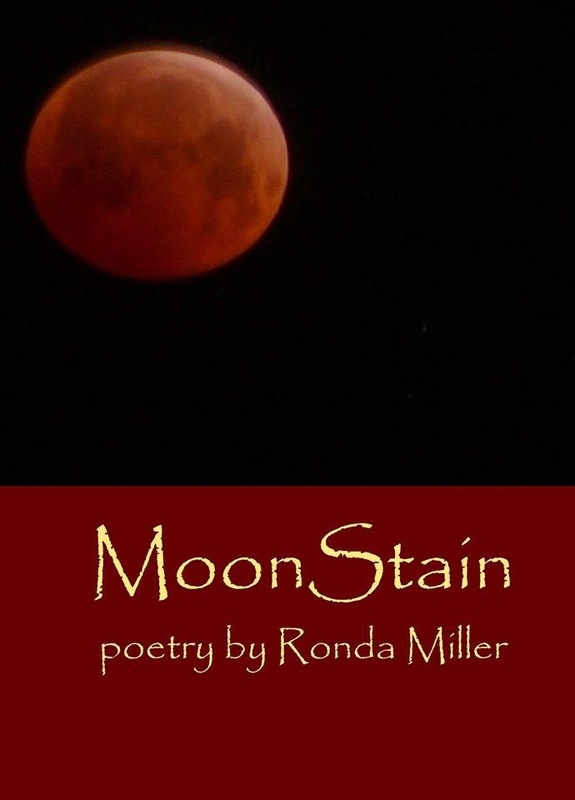 Moon Stain is divided into additional categories: ‘New Moon,’ ‘Moon Shadows,’ ‘Moonbeams,’ and ‘Full Moon. '” “Miller channels and celebrates the here and now, every day themes, memories. And within her poetry, sacred word for eternity, she heals herself and is reborn,” says Xánath Caraza. Read the full reviews on Denise Low’s blog. 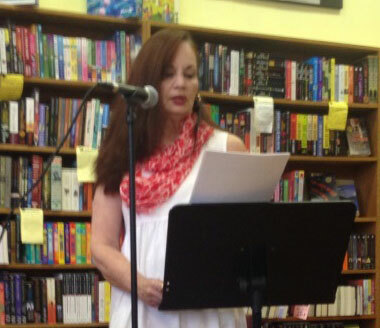 Since 2011, Ronda has served as the Poetry Contest Manager for Kansas Authors Club. And she has presided as President of the club, District 2, since November 2013. Ronda was raised on a farm by her maternal grandparents in Ft. Collins, Colorado, in the high plateau region of northwestern Kansas. There, her love for the beauty and healing aspects of nature and poetry began. Today, Ronda holds degrees in Human Development and Creative Writing from the University of Kansas. In 2008, she began volunteering through Grief Works as a Life Coach for those who have lost someone to homicide, work she now does professionally. She is a Fellow of The Citizen Journalism Academy with World Company and is a Certified Life Coach with the Institute of Professional Empowerment Coaching. Event Question: How do we think about self-determination? Dinning: Potluck and BYOB. Bring a covered dish and your beverage of choice, and Jack Stack Barbecue meat will be provided for confirmed guests by Salon~360. We will be on the patio around dusk so bring your favorite bug repellent! In case of bad weather we will move inside. Date: Thursday, September 24, 2015.